Offering you a complete choice of products which include pp woven sheets for packaging. PP Woven Sheets for Packaging is the most opted choice in industries for every type of packing. Widely used in making varied types of packaging bags, these sheets are available in different weights and lengths. Available in both roll and flat piece forms, these are laminated for water and dust proof finish. 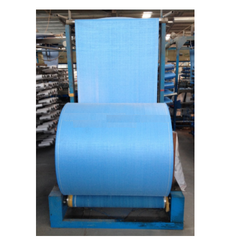 Can be attached with a liner for prevention against moisture and leakage, these sheets are of food grade quality.